I wasn't expecting to come home with the Rush Hour Half zip yesterday but I really liked it when I tried it on. 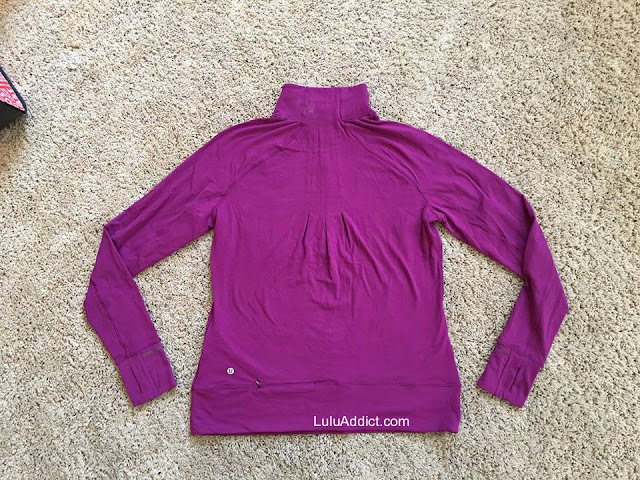 I am a huge half zip fan (the Race with Grace and Face the Frost are probably my favorites) but I haven't bought a rulu one since the Energy Pullover came out in 2009. I've been waiting for a relatively simple, solid-colored one that zips into a turtleneck to come along. 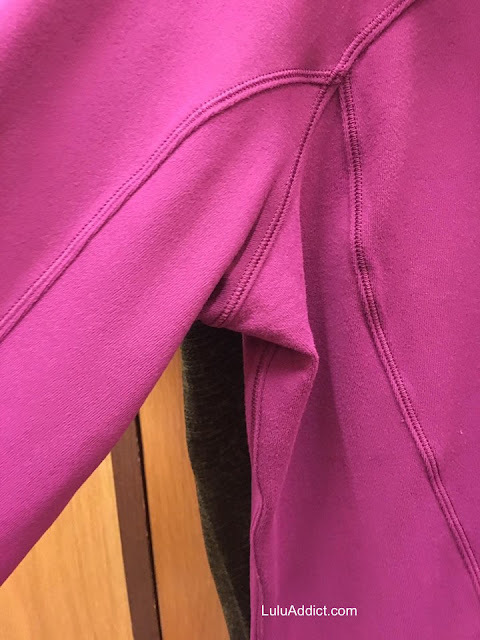 The last two years I've bought herringbone and pique pullovers but none of them had a centered zipper that zipped into a true turtleneck. The rulu on the Chilled Grape is nicely thick. 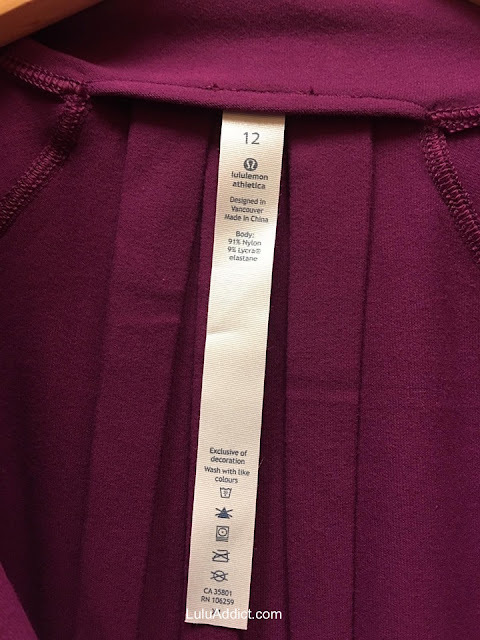 Rulu fabric seems to have changed and is brushed only on the inside these days. I felt the black version of this top and I thought the Grape felt thicker than the black. The Spray Jacquard doesn't even feel like rulu so I didn't consider it. The Rush Hour has nearly everything I like in a half zip - nice thick rulu; a centered, deep front zipper that zips into a turtleneck; nicely long sleeves with thumbholes and cuffins; reflective elements; a zipper pocket; and comes in solid colors other than black. My only nit with this top is that the zipper pocket is not big enough for my phone. The armpits don't have any mesh in them. 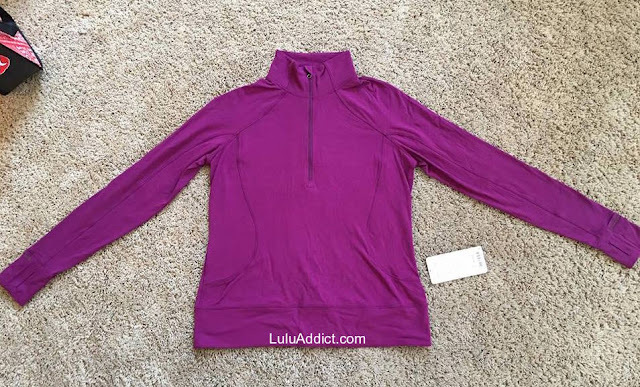 The fit is on the roomy side and I think many people can size down in this top, though I am not sure if the fit through the shoulders would be compromised if you do. 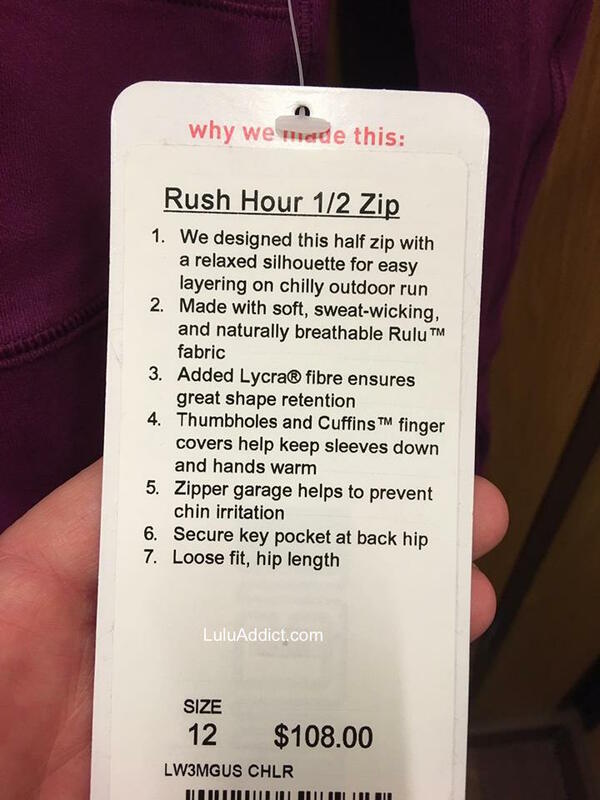 If you've been in the market for a rulu half zip top you should definitely look into the Rush Hour. No mesh in the armpits but I can live with it. 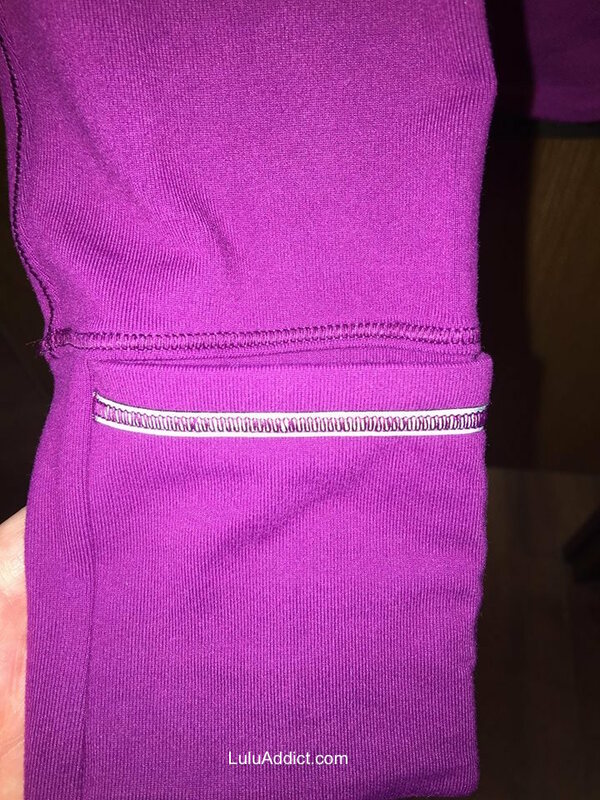 Reflective stitching on the cuffins.